Is Ocasio-Cortez’s Campaign Finance Fiasco Going To End Her Reign Of Crazy On The Hill? So, all the insanity, the Green New Deal, the defense of alleged anti-Semites, and saying just utter nonsense, like fighting climate change is just like World War II, could come crashing down. Maybe not, but at least AOC is acting like a typical Democrat now. Staying on the Hill, Attorney General William Barr is irritating Democrats by refusing to recuse himself from the Mueller probe, which supposedly is coming to a close. Democrats are already pushing back the goal posts, saying they're going to continue their impeachment crusade against Trump, even if the report shows there is no evidence of Trump-Russia collusion. We’ve already seen that with Rep. Jerrold Nadler (D-NY), chair of the House Judiciary Committee, declaring that Trump has obstructed justice, which isn't true, and will be requesting documents from 60 people in the president’s inner circle. The witch-hunt just got more intense. The first salvo in this campaign was the testimony of former Trump attorney Michael Cohen, who has been convicted, among other things, of lying to Congress, but he’s a credible witness, right? While Democrats work to get the president no matter the cost, Rep. Ilhan Omar (D-MN) is causing heartburn for once again peddling anti-Semitic talking points; this time directed at those who support Israel. She heavily insinuated to a dual loyalty concerning this group. This goes along with her “all about the Benjamins” tweet concerning AIPAC and her comment on how Israel has hypnotized the world. 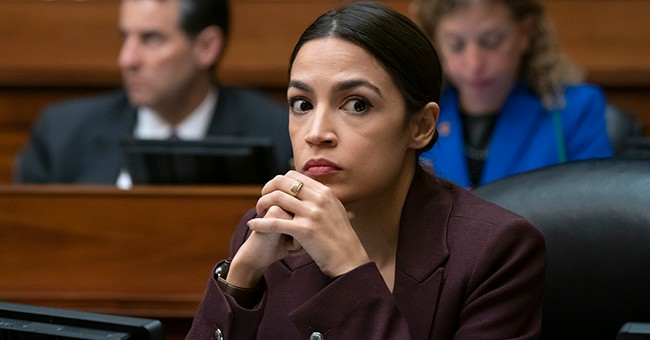 The House will be voting on a resolution concerning anti-Semitism, though stops short of rebuking Omar. Rep. Rashida Tlaib (D-MI) defends Omar, along with AOC, which is all you need to know about the company she keeps. One is just as anti-Israel as Omar and the other, AOC, is just nuts. So, talk about the elite hit squad defending this trash. Omar says she’s catching flak because she’s black and Muslim. Nope. It’s because all of her talking points are grounded in anti-Semitism. To close, Storm detailed in the smorgasbord that only 18 percent of the general public supports socialism, which is a good sign for the general election because we all know Democrats are pushing for the most left-wing clown in the bunch. Up north, Canada’s Justin Trudeau might be toast, while Israel’s Benjamin’s Netanyahu is facing an uphill re-election battle. On the Trump derangement front, CNN’s Samantha Vinograd likened Trump’s CPAC speech as a cross between sounding like something from the Kremlin and an address by Hitler. She’s an Obamaite, by the way. Oh, and if this is the reaction to the speech, it’s just another sign that the Left has no one of equal caliber to Trump. I’ll take that. We’ll see you on Thursday.